The Samsung Gears S2 Classic 3G is launching on three of the major mobile carriers in the US today, AT&T, T-Mobile and Verizon Wireless. 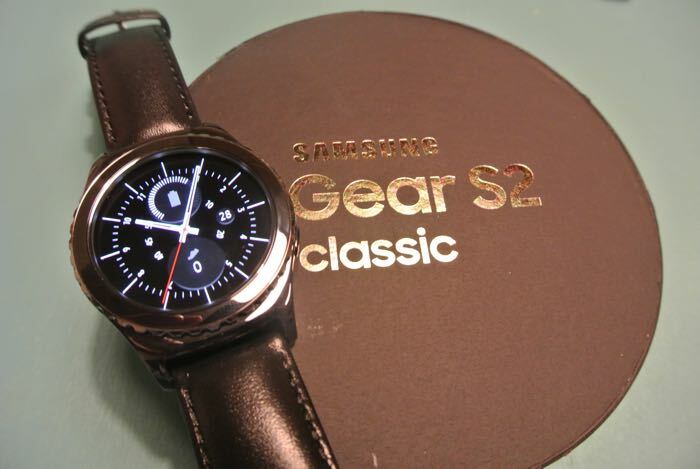 The Gear S2 Classic 3G is available for $250 on AT&T with a two year contract and it will be available for $350 on Verizon with a two year contract, T-Mobile are offering the device for $400 without a contract. The device is equipped with a 1.2 inch super AMOLED display that has a resolution of 360 by 360 pixels and it comes with 302 pixels per inch. It features a rotating bezel which is used for controlling function on the device and also navigating menus. Processing is provided by a Snapdragon 400 processor and there is also 512MB of RAM and 4GB of built in storage and it runs Samsung’s Tizen OS. The device comes with a new eSIM card, this is embbeded in the device which means that you can switch carriers without swapping the SIM card.